We have trained 8 of the last 10 days. It's time for a rest day tomorrow. Today we avoided Mystic due to the Mystic Half Marathon. We enjoyed some fun, long downhills on Pequot Trail and 184. Training will resume on Tuesday. 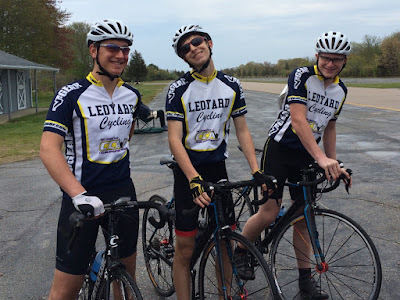 We rode down to foggy Groton Long Point this morning and them made it back home on the rolling hills of the Stonington side as the sun came out. 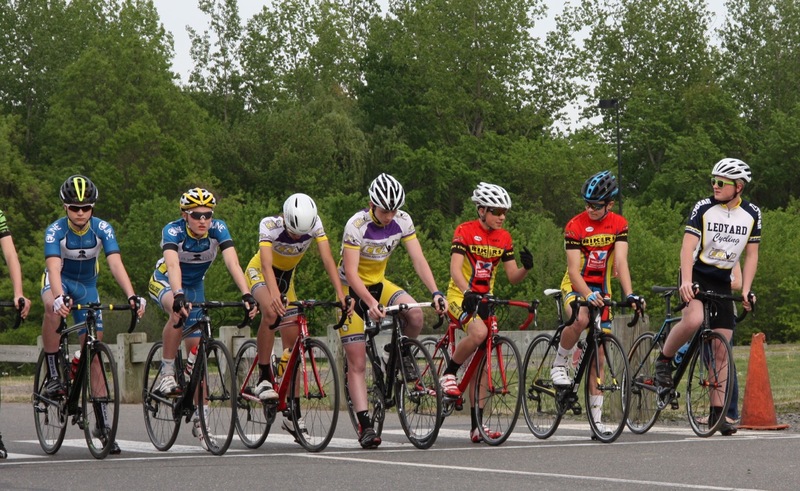 We had our 3 racers and our new rider, Joe, with us today. Joe was sporting a new red bike. He picked up a used Giant from Brumble Bikes last night. The frame is the correct size and it came with a computer, nice wheels, upgraded components and the proper 52 chain ring for junior gearing. With shoes on order Joe is ready to put out some more power. 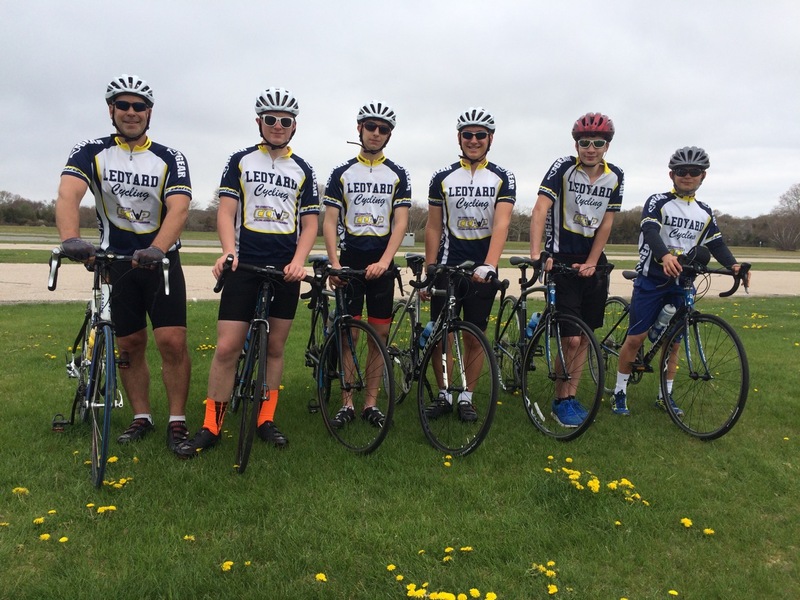 June is such an exciting time for our club as we gain more and more riders. We set up new rider Chris with pedals and shoes yesterday and we're installing a computer on his club bike today. He'll be joining us again for tomorrow's ride. Good times! We enjoyed a nice little loop down to Noank and back up through Mystic today. As you can see the sky was perfect. The boys had fun; that's what it's all about! We trained in a little different territory today. We did a short but scenic route, only 17 miles. Joe put in an extra 6! Fun day to be out there and of course to enjoy Mystic. We did a bunch of laps around our flat training loop today. Nice to have Mrs. Froh out there with us! We rode Mr. Tom Crain's loop today. This is slowing becoming one of our staple rides. 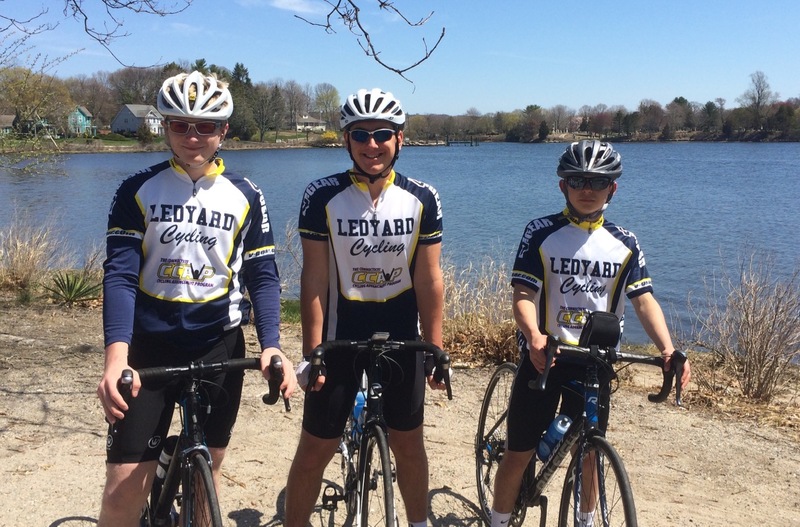 In honor or John Harris and his dedication to promoting youth cycling in southeastern CT, we decided to train on "John's Loop" today. 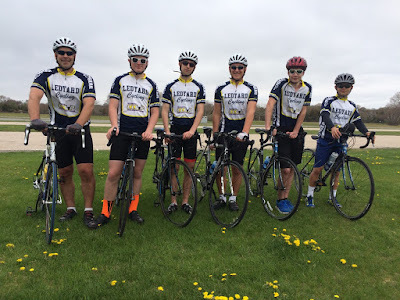 As we rode the loop he rode for 200 miles during our spring fundraiser, we reflected on the ride and talked about what a great guy John is!!! The boys weren't feeling it today. We only did 17 miles at 16 mph. At least we did a Pequot Trail hill and Gallup Hill. Looking forward to more distance and speed on Friday. Tomorrow will be a light day of training with our development riders. As part of our CCAP grant application/award, we received seven much needed junior cassettes, which were donated by Richard Vincent. Thank you so much!!! 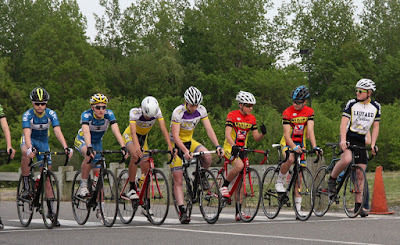 You can see Xavier in this local news report on CCAP's Kermis race on Friday. Alex and Gianni lead coach Jannke (off the back half the time) on a quick 28 mile bumpy ride at 17+ mph. We only stopped for a jell once. It was a fast morning of training; we kept the heart rate up the whole time. Our race team competed at the Mystic Velo Criterium today. The team worked to put Xavier on the podium earning bronze. Well done boys! Xavier represented us at CCAP's Kermis race this evening. It was a fast fun crit race against some strong kids from all over New England, including Killington Mountain School and Cannonade New England. A HUGE thank you goes out to Mystic Velo for donating these amazing race wheels to our team, complete with new tires and junior cassettes. The boys tested them out this week and were amazed! 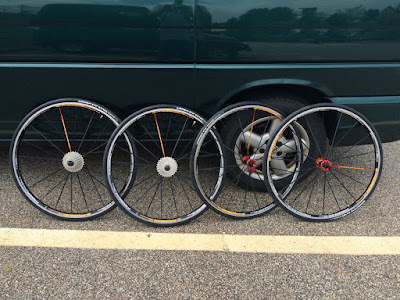 They are ready for tomorrow's 2015 Mystic Velo Criterium. Thank you Velo!!!! A big thank you to the Grenger family for donating a bike rack to the club. 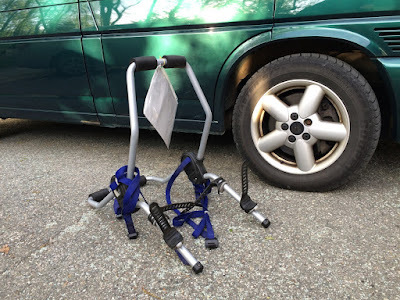 It's a nice Thule and we'll put it to good use! 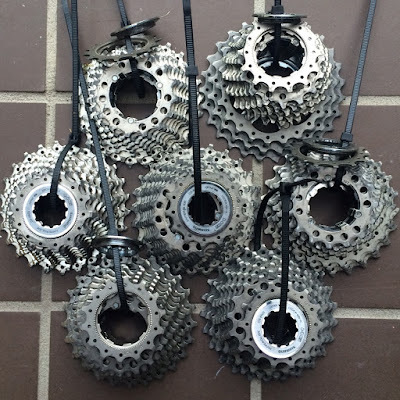 As we get ready for our two big goals of the spring, CCAP's Kermis and Velo's Ninigret Crit, this weekend, we did various drills today to help prepare for this discipline. We enjoyed a fabulous morning crit training at Ninigret. Sra. Froh was the coach du jour. The boys worked hard through many drills. We were super excited to work with two new riders, as well! We welcomed back Simon today. 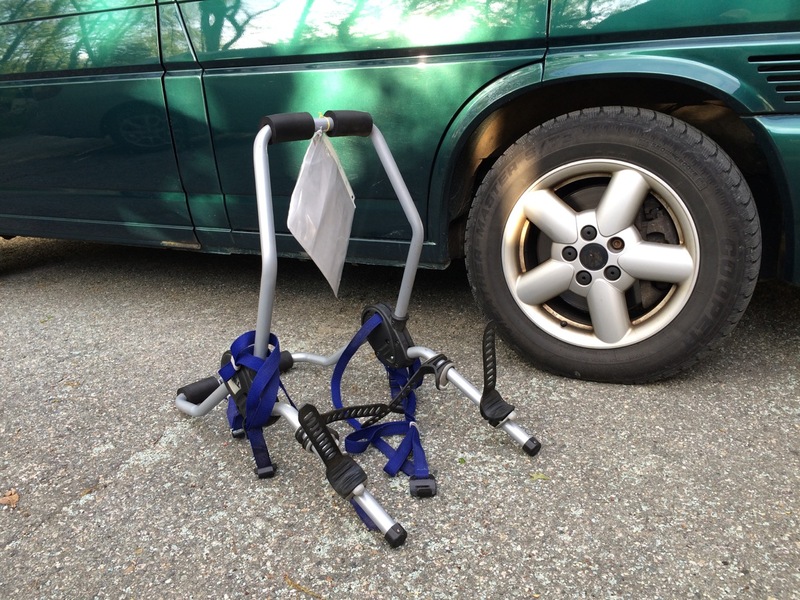 His bike is repaired and ready to go. He rode a very strong loop with us. We met up with new member Pete and did laps up Town Farm hill for fun to tire us out at the end. Solid day. We'll do our regular 2:30 to 4:00 rides from the tennis courts on Tuesday and Wednesday. 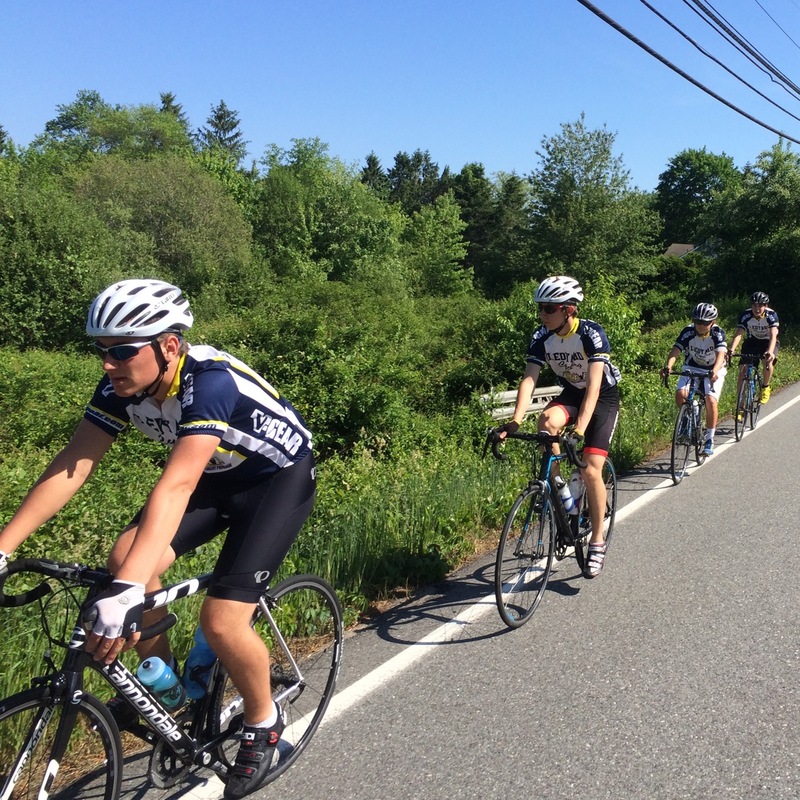 We'll ride down to the flats for more speed training on Shewville, Lantern Hill and River Road. We are off on Thursday. 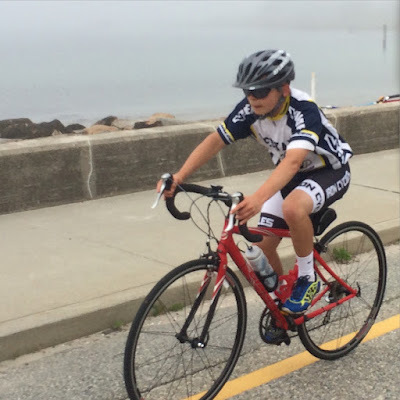 Friday and Saturday we'll head over to Ninigret, Rhode Island to practice on the criterium course. See our calendar for more details. We had a new rider join us today, sophomore Joe. We set him up with one of our new CCAP bikes. We rode down to River Road and met up with Mrs. Froh. 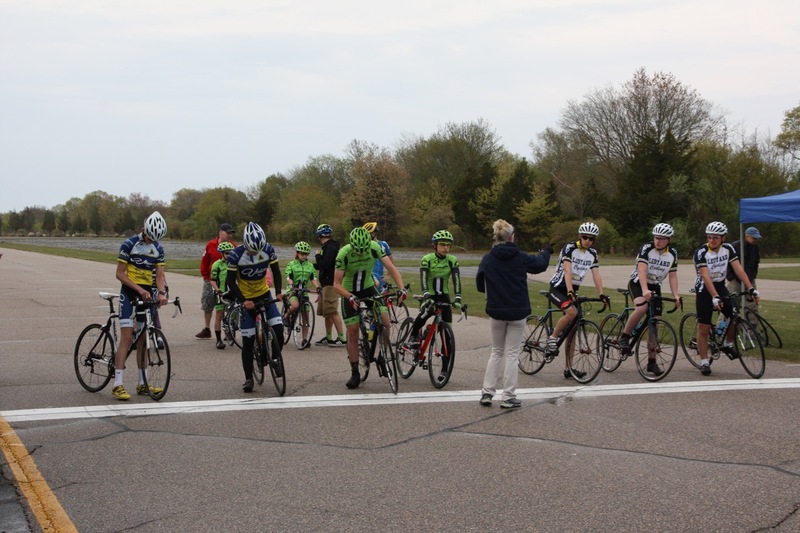 Mrs. Froh had G and X doing criterium training drills, while we worked with Joe on cornering, sprinting, shifting, etc. Not only did Joe cover 19 miles his first day out on a road bike, but he hammered Town Farm hill. I think we have a new climber aboard! We spent the day training on Lantern Hill and Shewville Rd to simulate a crit. We did laps around the circlular route. We focused on not getting dropped from a fast group. We did do a little bit of bridging training, too.